A collection of 3 conifers that outlived the dinosaurs. Giants in themselves, these trees would have been grazed by the dinosaurs of the Mesozoic era. Here is your chance to own a bit of history, history that dates back over 65 million years! 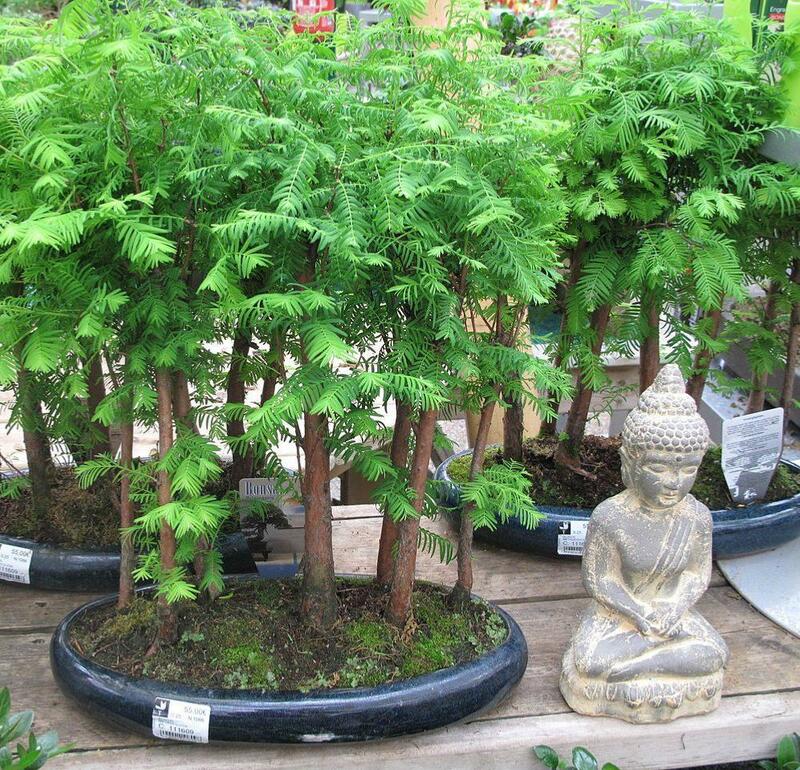 1 plant each of; Metasequoia glyptostroboides, Ginkgo biloba, Calocedrus decurrens supplied in 9cm Pots each with a fascinating story to tell. 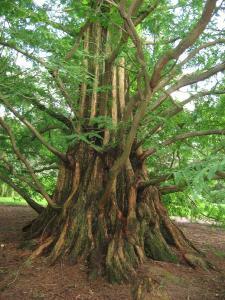 Metasequoia glyptostroboides makes a fine tree now familiar due to its remarkable appearance. The beautiful ferny foliage is a bright emerald green in spring, turning russet-brown with tints of coppery pink in autumn. The strong pyramidal winter silhouette is also very attractive and older trees form wide buttresses on the lower trunk and form a distinctive "armpit" under each branch. The bark is vertically fissured and tends to exfoliate in ribbon-like strips., making the Dawn Redwood a strong contender for year-round interest. It prefers a damp habitat, and is best planted near to water if the land is typically well drained, but also makes a perfect Bonsai specimen for the windowsill. 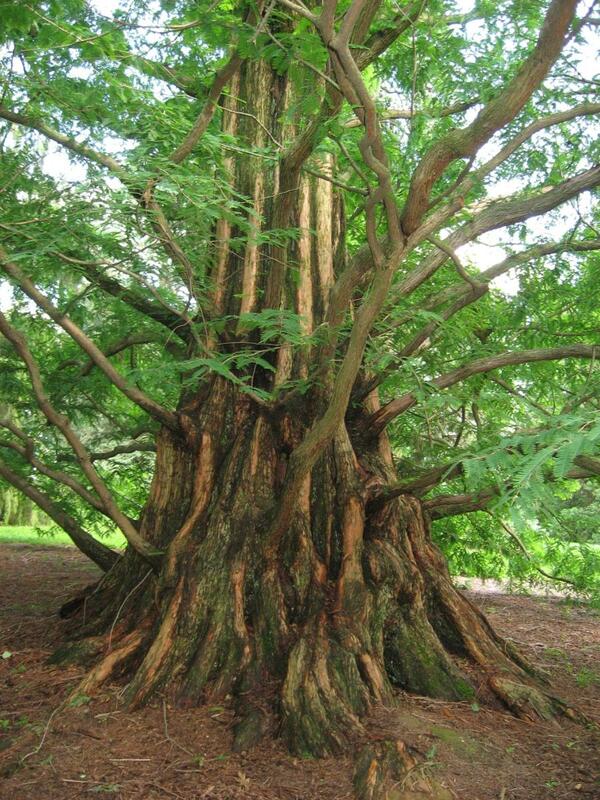 Metasequoia glyptostroboides, otherwise known as the Dawn Redwood, is a fast-growing, endangered and coniferous tree - the sole living relic species of the genus Metasequoia, one of three species in the subfamily Sequoioideae. It is native to Lichuan County in the Hubei province of China. Although shortest of the redwoods, it can still grow to at least 200ft (61m) in height. From fossil records this tree was common across the northern hemisphere and the Dawn Redwood was originally considered extinct. The genus Metasequoia was first described in 1941 as a fossil of the Mesozoic Era, and none of the fossils discovered were less than 1.5 million years old. Dr. Shigeru Miki (1901–1974), a paleobotanist from Kyoto University, identified a divergent leaf form while studying fossil samples of the family Cupressaceae and realized he was looking at a new genus, which he named Metasequoia, meaning"like a sequoia." Ginkgo biloba, commonly known as the maidenhair tree, is the only living species in the division Ginkgophyta, all others being extinct. It is found in fossils dating back 270million years. Native to China, the tree is widely cultivated and was introduced early to human history. 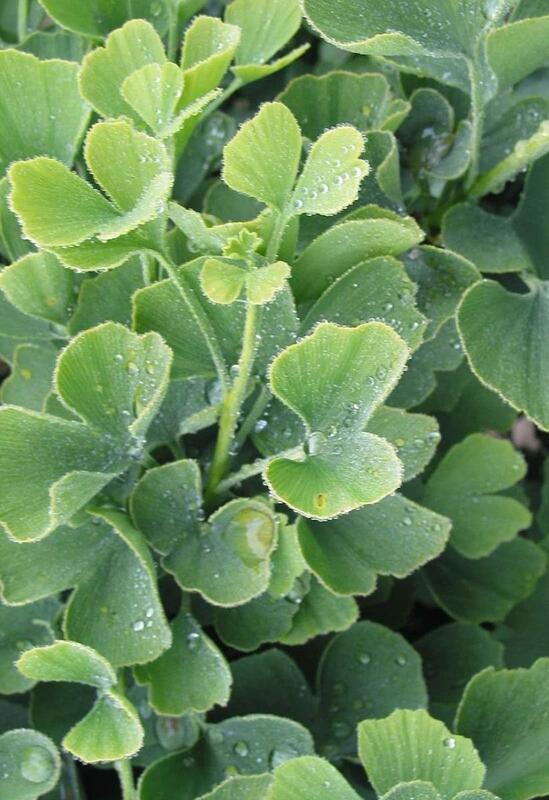 It has various uses in traditional medicine and as a source of food. 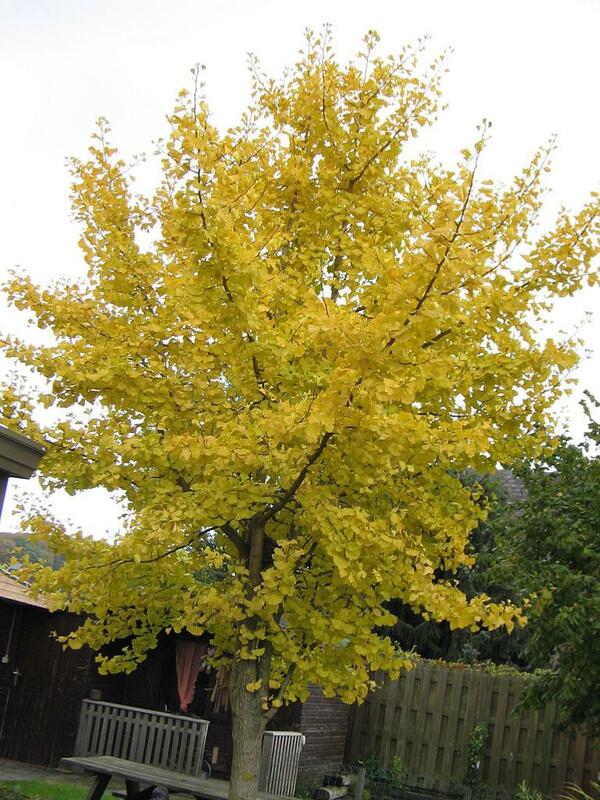 The genus name Ginkgo is regarded as a misspelling of the Japanese gin kyo, "silver apricot",referring to the similarity of the fruit.A conifer unique in having broad leaves.A slow growing medium sized tree with very interesting foliage which is deciduous turning a rich butter yellow before falling away in the autumn. Calocedrus decurrens, with the common names Incense Cedar and California incense-cedar (syn. Libocedrus decurrens Torr. ), is a species of conifer native to western North America, with the bulk of the range in the United States, from central western Oregon through most of California and the extreme west of Nevada, and also a short distance into northwest Mexico in northern Baja California. It forms a narrow but in time very tall specimen tree. This tree is the preferred host of a wood wasp, Syntexis libocedrii a living fossil species which lays its eggs in the smoldering wood immediately after a forest fire. The tree is also host to incense-cedar mistletoe (Phoradendron libocedri), a parasitic plant which in the wild can often be found hanging from its branches. 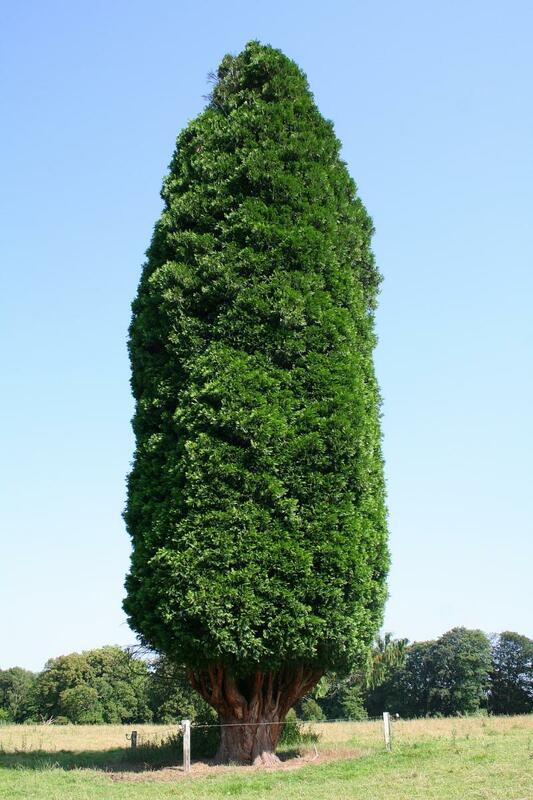 For most of us these trees are far too big for garden planting, but make interesting pot plants or bonsai specimens.